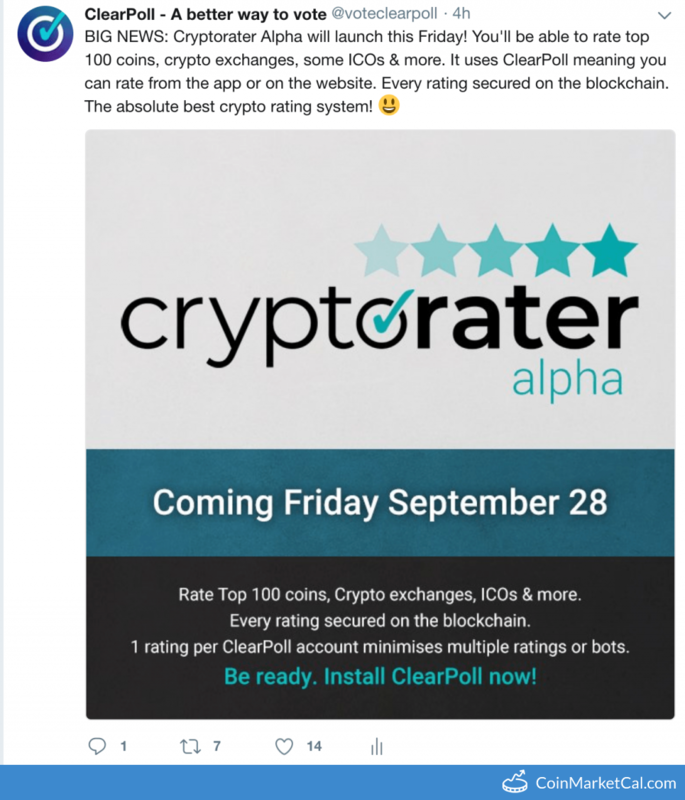 ClearPoll (POLL) - Events, Price, Market Cap, Supply, Exchanges and more! Decentralised social public opinion poll network, using blockchain technology to secure votes and poll results. No more vote manipulation, bot voting or censorship. 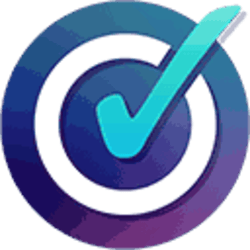 Earn POLL token rewards for using the ClearPoll app. Vote on polls from your favourite stars, and more! 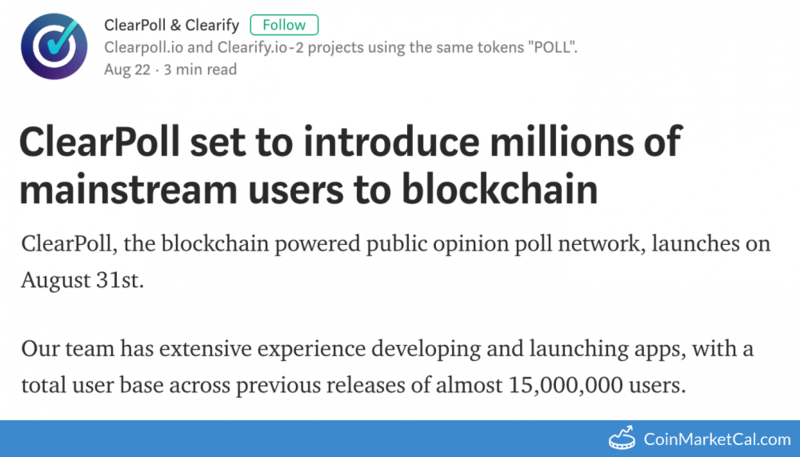 "The ClearPoll block explorer is coming... The new app comes out in 2 weeks!" "We are still planning on switching from our own blockchain to the Ethereum blockchain on March 15th!" 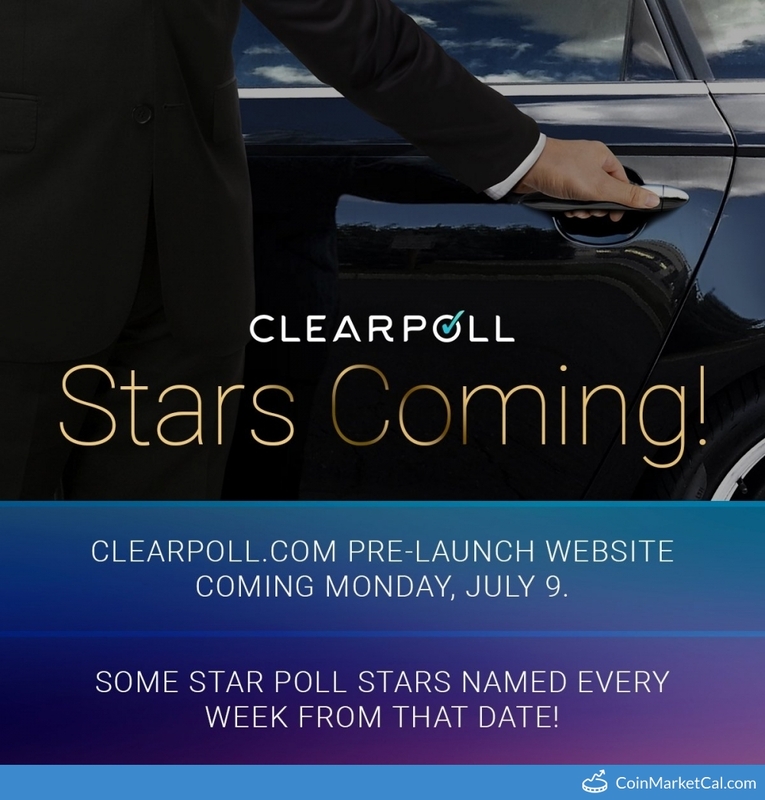 ClearPoll Beta will be released on Android! New poll creation, home screen content, social feed and more! 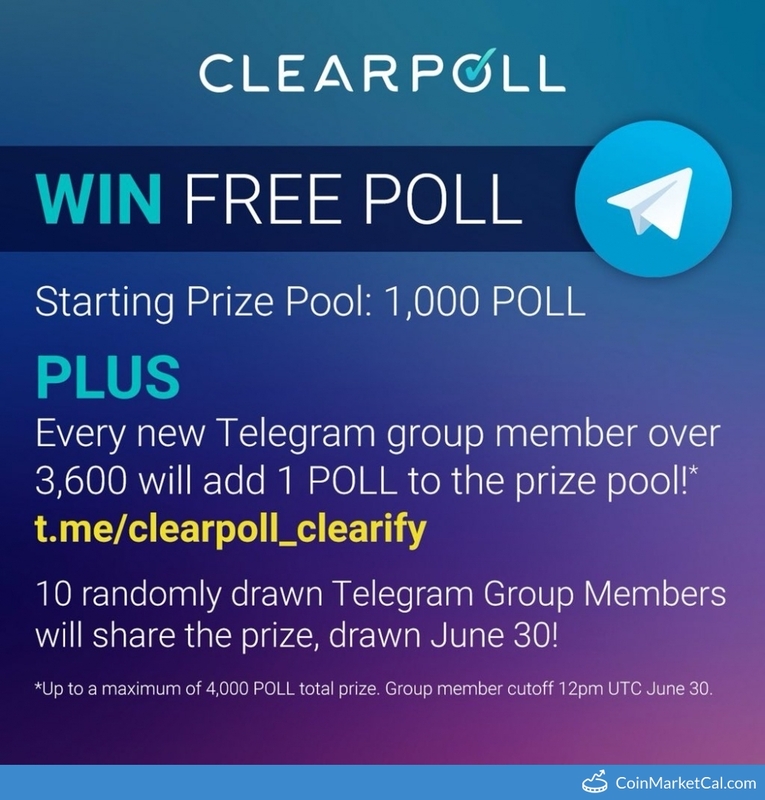 10 Randomly drawn Telegram group members will receive POLL tokens.